Text me when court date is announced and with court support alerts! You may receive updates from Justice for Kayla Moore, the creator of this form. Justice for Kayla Moore: Endorse the Demands! Join community members and organizations in signing on to the Justice 4 Kayla Moore campaign demands. Sign your name (at the right) and amplify our call for justice in Kayla's honor. Click HERE to see the current list of organizations that have endorsed the demands. 1. Justice for Kayla Moore! Honor her memory, tell her story, #SayHerName. 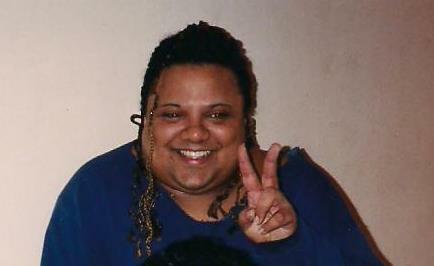 On February 12, 2013, Kayla Moore, a Black trans woman with a schizophrenia diagnosis, was in her home when a friend of hers called BPD to get help for Kayla, whose behavior seemed out-of-the-ordinary. Police arrived, but instead of offering Kayla assistance, they immediately tried to take her into custody. Although they had no legal basis for arresting her, they wrestled her onto the ground. Kayla died face down on a futon with six police officers on top of her. She was a beloved sister, daughter, loved one and friend. 2. Hold the City of Berkeley and Berkeley police accountable for killing Kayla Moore. This fall, the Moore family is pursuing a civil suit against the City of Berkeley and the officers to blame: Gwendolyn Brown, Kenneth Tu, Brandon Smith, Brian Mathis, Timothy Gardner, Nikos Kastmiler and Amber Philips. Let's pack the courtroom on October 17th to let Berkeley know that we remember Kayla and demand recognition and accountability. 3. Police must not be first responders to mental health crises. We need community, not cops! We call on the City of Berkeley to cut 1/3rd of the police budget to account for the 35% of police calls that are mental health-related. Instead, redirect these city dollars and fully fund community-run mental health care, including a 24/7 civilian-run crisis response. 4. End the BPD’s violent attacks, criminalization and profiling of people who are Black, Brown, disabled and/or trans. When Berkeley police showed up at Kayla’s apartment and saw that she was a Black trans woman with schizophrenia, they approached her not as a person to care for but rather as a criminal — despite the fact that she had done absolutely nothing wrong. The officers then used extreme force to try to arrest her for a warrant that was not even in her name. Tragically, we are outraged but not surprised by the BPD’s behavior. After all, we live in a city where Black folks make up 8% of . We live in a country where over 25% of people killed by the police in 2015 were mentally ill. And we live in a country where, in a nationwide study, 38% of Black transgender and gender non-conforming respondents who had interacted with the police reported being harassed by them. The City of Berkeley cannot allow the BPD’s racism, ableism and transmisogyny to continue to have violent — and in Kayla’s case, deadly — results.